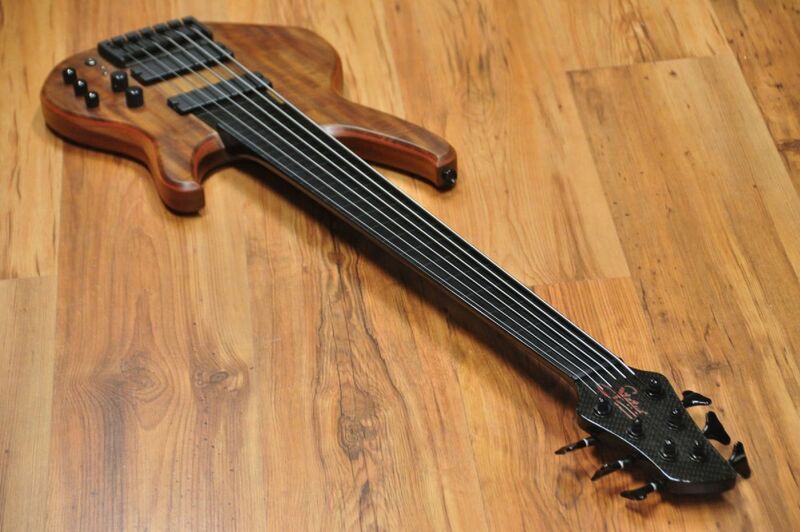 Status is one of the true pioneers in the bass industry, having incorporated design and construction innovations such as the use of graphite and headless designs as early as the beginning of the 80's. More than 30 years later, Rob Green is still creating wonderful basses which feature ground breaking ideas and incorporate clever design solutions. Through all these years, Status have created a large number of different basses, from 100% graphite instruments to more traditional wooden basses, but always with some special specs. 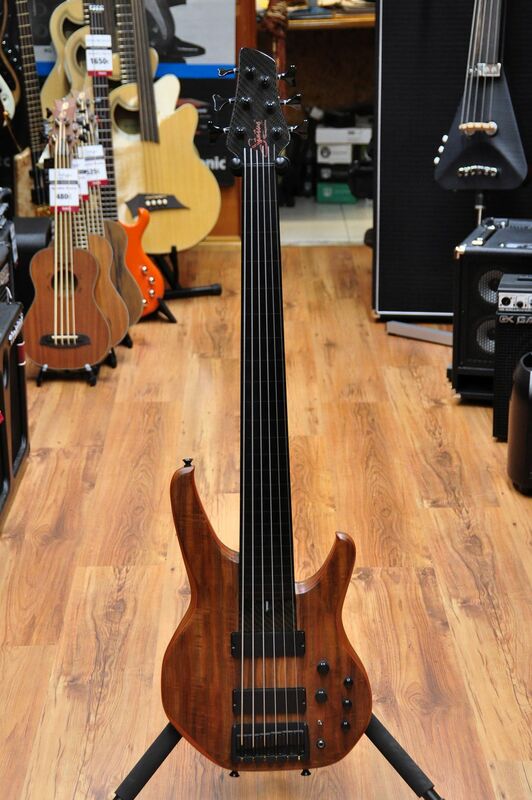 These days you can find 4, 5 and 6 string basses in the Status catalogue, and you have a choice of fretted or fretless, headless or headed, plus different boody shapes and pickup/electronics otions to suit a lot of styles. Why graphite? this is a composite material that was first used for aircraft design and later to everyday products, always proving excellent results in situations were high performance was needed. Electric basses have always suffered from neck problems, and graphite seemed to be a good alternative to wood in this respect. Undesirable effects such as neck warping and dead spots are eliminated when a neck is made of graphite. Although wood is still mainly used in bass building these days, graphite has found it's way into many highly revered "old fashioned basses" such as Fender in the form of strips that are built into the wooden necks to prevent the neck from excessive neck movement and dead spots. One of the characteristics of graphite is that it tends to balance all the notes and strings in terms of volume, so you get an instrument that will respond perfectly to your playing regardless the fret or string you are playing or fretting. Another advantage of graphite is that is much more stable than wood and moves less with climate or humidity changes. This makes Status basses an excellent choice for the touring bassist that is travelling constantly and playing in different areas all the time. The body is made from walnut, and the top is a spectacular piece of curly walnut. The bolt-on neck has a long 34 3/4" scale and 2 octaves. The low B is as solid and loud as they get. If you've necer played a graphite neck, first impression is a bit cold, but Status really know how to make their necks, and it seems to meld under your hand. This is what is called "easy to play" in the true sense. Two Status humbuckers put out a very clear and defined tone. They are conrolled by a 3 band EQ, with boost/cut Bass & Treble, and selectable mid prequency (with a cut/flat/boost switch). The 18 Volt power supply from two batteries ensures extra headroom. If you are curious about how a graphite fretless neck sounds, we are glad to tell you that this has been a real surprise. You can get all the warmth you'd expect from a wooden neck, with an amazing growl and singing voice, but you can take this sound to the extreme and explore new sonic territories. Strings just slide over the phenolic fingerboard, and you can safely use roundwound strings, as this material is very strong and will not wear out as quickly as a wooden fingerboard. 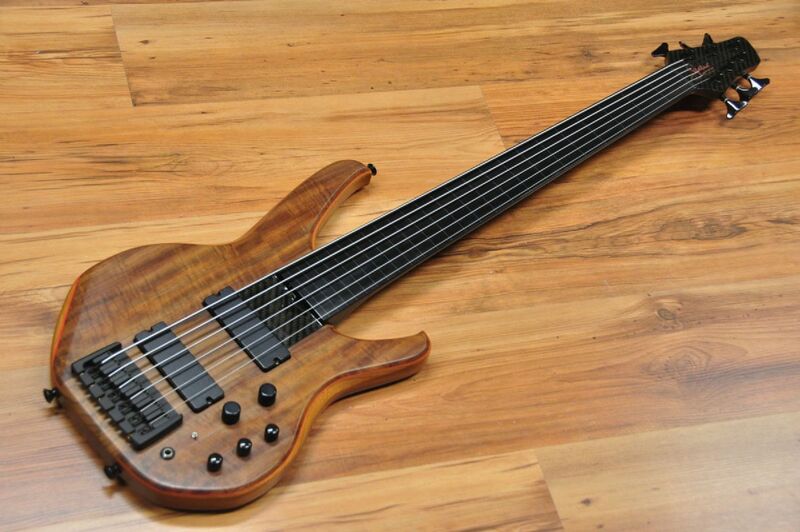 This must be one of the few fretless basses where slap actually sounds good as long as you use roundwound strings. Flats will make it sound closer to an upright with a delicious warm tone. Plugged to an amp this bass may sound a little colder than an all wood bass, but when you use it live you'll understand why so many sound engeneers love Status basses: it is really easy to mix this bass and make it cut through a wall of guitars, keyboards and horns.